The New York Times reports that Naomi Sims, the BEAUTIFUL face of the Black Power Movement died of lung cancer, on Saturday, August, 01 2009. She was 61 years of age. 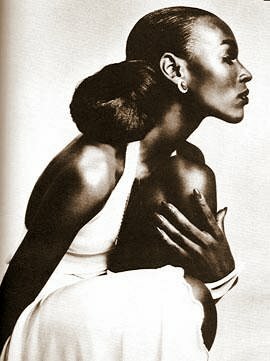 According to the New York Times, Naomi Sims became famous by being the first black model to make the covers of The Ladies Home Journal, Essence, Cosmopolitan and Life Magazines. She had a tough upbringing and lived in several foster homes before completing High School. Born on March 30, 1948 in Pittsburgh, Pennsylvenia, she was teased and bullied for being the tallest girl in her class. However, she also had her supporters who encouraged her to complete her high school studies and take up modeling as carreer. She worked hard on her studies and won a scholarship to go to the New York Institute of Technology to further her studies. After completing her studies at the Institute, Naomi found entering the modeling Industry to be very challenging. No agency was prepared to give her a second look. She decided to promote herself by approaching Gosta Petersen, a professional photographer of the New York Times to take her photos which she placed in every paper that agreed to ran them. These caught the eye of Wilhemina Cooper, a former black model who was ranning her own agency. Within a year working with Ms. Cooper, Naomi was making more than $1000 per week and was selected, with two other models by AT&T to models clothes by Bill Blass. From this assignment she got plenty media exposure, which led to her appearance of the cover pages of some of New Yolk’s most prestigious magazines. In 1972, Naomi Sims rejected an offer to star in the movie, “ Cleopatra Jones” because of what see saw as its racist portrayal of Black People. She also had to promote her own line of wigs and cosmetics as these were not available to people with dark skins from your average beauty shop. She also wrote two books: All About Health and Beauty For Black Women and All About Success for Black Women. Her passing is a great loss to the African American Community.